i) The birth of the Commander of the Faithful (Ali) [p]. iii) The birth of the master of the martyrs (Husayn) [p], his brother ʿAbbās and his son Zayn al-ʿĀbidῑn [p]. iv) The pinnacle of joy: the birth of Imam al-Mahdi [may God hasten his reappearance]. [These are followed by] the birth of Imam Ḥasan [p] in the middle of the month of Ramadan. 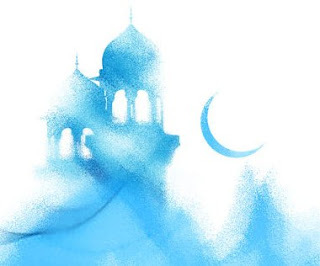 Therefore, these two months – along with the first twenty nights of the blessed month of Ramadan – are crucial nights for earning an exceptional Laylat al-Qadr; the night which the Lord of the Worlds refers to [in the Qur'an when] He says, "Indeed We sent it down on the Night of Ordainment * What will make you conceive what the Night of Ordainment is?." [97:1-2] Similarly, when He describes the day of resurrection He says, "What will make you conceive what the Catastrophe is?" [101:3] using the same expression to show us that we are incapable of comprehending the reality of this night. Whomsoever complains throughout the year of illness in his body, severance of his sustenance, disturbance of his heart, or a problem within his family; it all is [a result] of what had been ordained for him/her on laylat al-qadr. If he/she was to perfect the previous laylat al-qadr, he/she would not have been afflicted with the aforementioned [calamities]. How many among us can claim that he exhorted his [greatest] efforts in the previous laylat al-qadr? !